These 4 maternity tops by Isabella Oliver are just as fashionable and flattering as they are functional- all four can be worn post-pregnancy! I put together a collection of my favorite pieces from the Autumn/Winter line. Click links above the pictures to view the items on the Isabella Oliver site. There are so many gorgeous dresses, tops, and pants available that it was hard narrowing down a selection so make sure to keep looking once you’ve clicked through to the site! Isabella Oliver is my favorite maternity clothing company. Their clothes are chic, flattering and, most importantly, comfortable and functional! Every time I do a maternity clothing post, I find myself on their site, obsessing over which items to pick from the multitude of gorgeous options. So… I figured it was time for a post that featured Isabella Oliver maternity wear alone! Something I really like about this line is that many of the looks can be worn post-pregnancy! On the site, there is a lettering system to help you easily identify these items. Scroll below for some of my favorites from the collection. There’s a big sale going on right now so shop now! 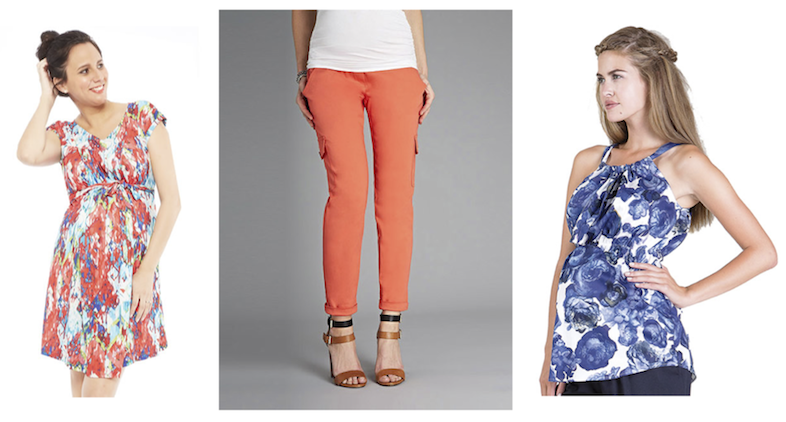 Embrace your pregnancy with flattering, comfortable maternity wear! We searched through four popular online retailers to find chic and wearable styles for Spring 2012. Below, you’ll find 30 looks that we love. Click on images to enlarge.